HOUSTON (KTRK) -- Houston police say the suspect in Sunday's deadly mass shooting in west Houston appeared to be suffering from depression and notes he left behind signaled he might have been dealing with mental problems. Eyewitness speaks about Sunday's shooting rampage, Elissa Rivas reports. Police say after the shooting, they found random piece of paper and writing on the walls inside the tire shop. While they didn't appear to be terror related, they seemed to be the writing of a person in a "mental health crisis." 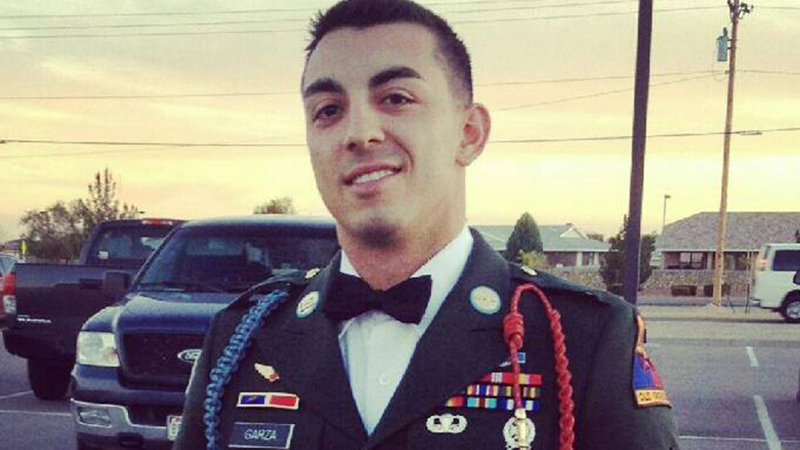 Garza's family said he was discharged from the military in 2013 and was battling a bout of depression. Interim Houston Police Chief Martha Montalvo also acknowledged that miscommunication between two police units prompted officers to leave a backpack at the scene. Montalvo said the evidence should've been collected and the incident won't happen again.